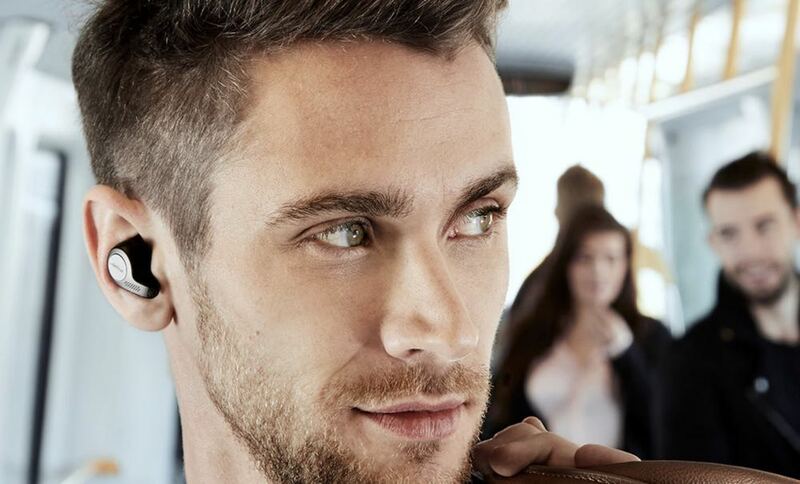 The movement away from cables with earphones is growing rapidly and Jabra has given us a great reason to leave the cords behind with its new Elite 65t true wireless earbuds. 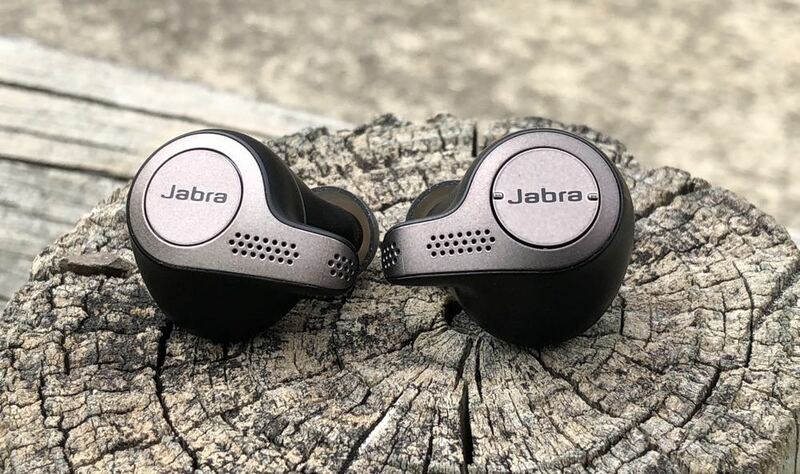 We already know Jabra has solid credentials in the wireless audio space and it has managed to pack all that technology into a pair of small earbuds that deliver a big sound. Each of the Elite 65t buds have been ergonomically designed to sit comfortably and securely in your ear. They are about the size of a five-cent piece and are about 1.5 cm thick – in other words they’re not too bulky. Each bud has a small branch with a silicon tip to fit into your ear canal and this adds to the stability of the product, so they will never feel like they’re about to fall out. 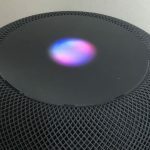 On the outside is a button that can help you navigate your music but, thanks to the outside microphone, you can also summon Siri, Google Assistant and Alexa to make your next move. That outside mic also comes in handy for making and receiving calls – more about that in a minute. 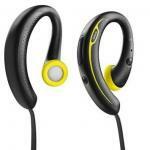 When the Jabra Elite 65t buds are in your ears, they create a seal which helps reduce outside noise. But what also happens is you being able to hear everything through your head like your footsteps if you’re walking or running. This isn’t an issue with Apple’s AirPods, for example, because they don’t create that seal, they just sit securely inside your ear. The upside of that seal with the Jabra earbuds is higher maximum volume than the AirPods but you will still hear every footstep through your skull. Sure, when the music is playing that fades into the background, but it’s still there. All the audio side, Jabra has a lot to be proud of. 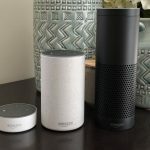 The quality is impressive with plenty of detail and an ample amount of bass so any type of music you’re listening to sounds great. Even at its maximum volume there was little distortion we could detect. There were some times where the connection flaked out and took a few seconds to reconnect. Also, on the odd occasion, only one earbud would be connected (the left would drop out) when we got them out of the case. To rectify this, we had to turn them off and on again for both to connect to our device. This didn’t happen very often, but when it did it took a little while to rectify. The Jabra Elite 65t works with the Jabra Sound+ app which lets you add extra features and let you choose your voice assistant and even modify how much nearby noise you want to hear. The app also let you keep track of your battery charge level and set up a personalised equaliser. It also comes in handy to adjust the quality of making and receiving calls. 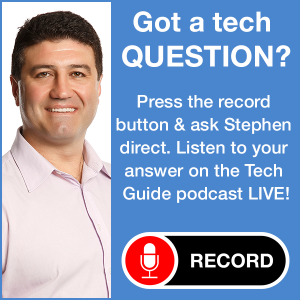 The app allows you to adjust how much of your own voice you want to hear. Call quality at our end was excellent but a couple of the people we were talking to said it sounded like we were standing in the middle of the room talking through our phone’s loud speaker. 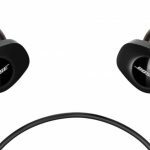 A big help is the wind noise reduction using the onboard four-microphone technology that can make you sound clearer whether you’re in the middle of a shopping centre or outside in the wind. You can also use the app to control how much of the outside world you can hear. This is a handy feature especially for those using it while they’re walking or running so they can be aware of what’s happening around them. Jabra has also made it easier to stay up-to-date with firmware updates so you’ve always got the latest software on board. 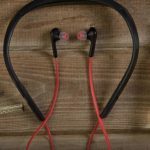 This popular use for the Jabra Elite 65t will be for exercise and the good news here is the earbuds have an IP55 rating so they can handle water and dust. They also come with a two-year warranty as well. You get about five hours of use on a single charge but, when you throw in the case which has its own built-in battery, that can be stretched out to 15 hours. Every time you put the Jabra earbuds back in the case they are being charged, so you’re never going to be caught short before a run or trip to the gym as long as you remember to charge the case. 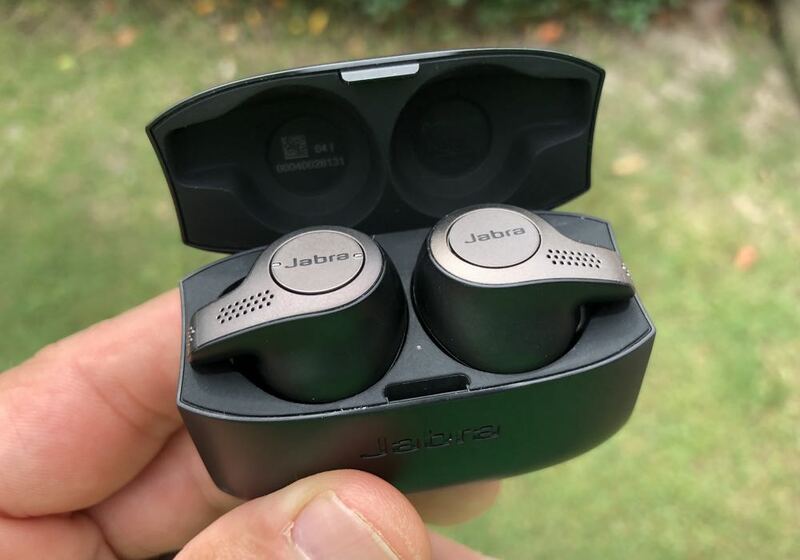 At $299, the Jabra Elite 65t are on par with similar products on the market but more expensive than Apple’s popular AirPods ($229), which would be an iPhone user’s most obvious option if looking for true wireless earphones. 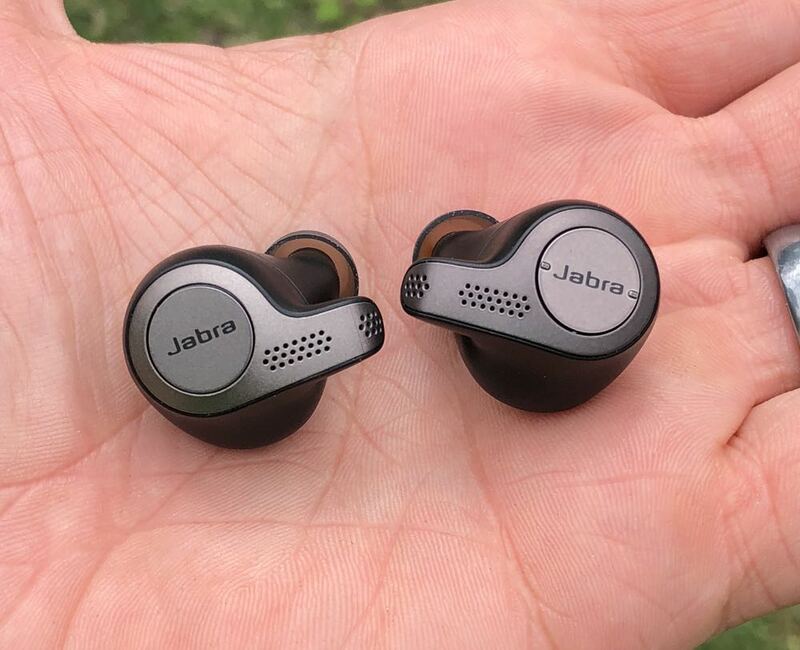 The Jabra Elite 65t are more secure in your ear than the AirPods and also louder but you do have that issue of hearing every footstep and mouthful of food you’re eating through your head. 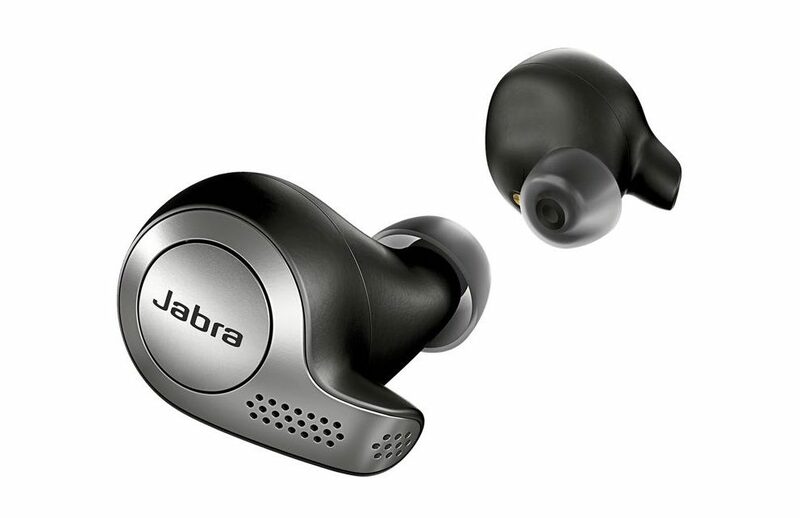 The Jabra Elite 65t are impressive wirefree earphones that can be used anywhere and provide excellent audio quality with a companion app that can give you complete control. PROS: Small and lightweight, secure and comfortable fit, charging case, companion app, impressive audio quality. 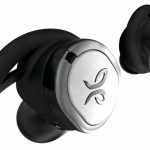 CONS: More expensive than Apple AirPods, seal means you can hear footsteps through your head, earbuds drop out sometimes. 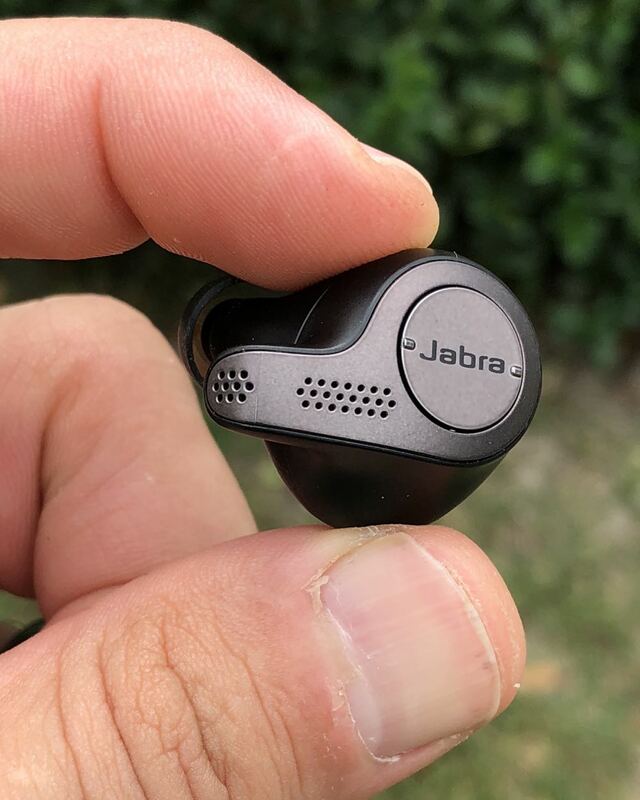 VERDICT: The Jabra Elite 65t are impressive wirefree earphones that can be used anywhere and provide excellent audio quality with a companion app that can give you complete control.